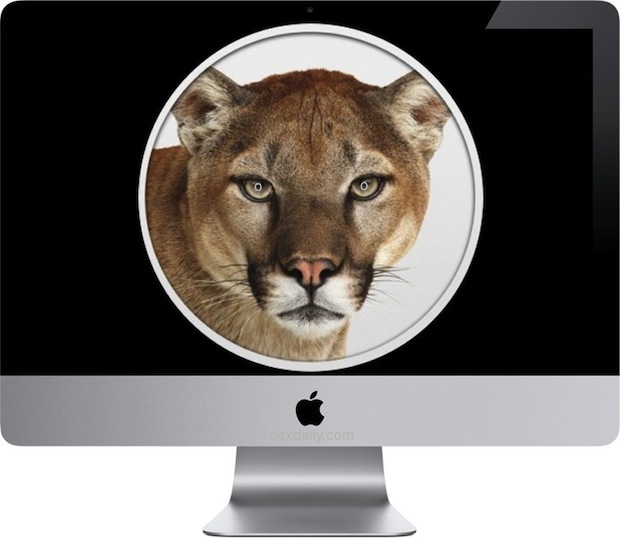 All things considered, the system requirements for OS X Mountain Lion are fairly light, but there are some Core 2 Duo Macs that lose support and won’t be able to update. That can be frustrating, but it’s the price of progress. Remember that you’ll need at least 12GB of storage space available to install Mountain Lion, but realistically you should have more than that available to insure your Mac runs best anyway. If you’re already running OS X Lion (10.7) then you probably don’t need to worry much, but for those who are upgrading to Mountain Lion from Snow Leopard, there’s a good chance that an app or two won’t work. This is due to new architectural requirements for the latest versions of OS X and unfortunately there are some developers who have gotten on board to update their apps yet, despite having years to do so (QuickBooks is a prominent example). A good list of compatible and incompatible apps is maintained in a searchable database by RoaringApps, check it out here. If you find apps that are incompatible with OS X 10.8 you can either find an alternative on the App Store, or consider holding off on the system upgrade until the developer gets their act together. Smaller developers tend to do this faster than larger software companies, so if you’re waiting for a large company it may take a long time. This is probably the most important step when upgrading any OS and a Mac is no different. The odds of something going wrong are slim, but it’s always better to be safe than sorry. Your best bet is to use Time Machine and initiate a manual backup right before installing OS X 10.8 update. If you don’t have Time Machine setup and configured yet, what are you waiting for? Grab a cheap external hard drive and set it up as a backup drive now, Time Machine is completely automated and as easy as backups get. Once Mountain Lion is on the Mac App Store, it’ll be a $20 purchase and installs directly from the App Store. It takes about 30-45 minutes to install depending on the speed of the internet connection and it’s mostly automated, you don’t need to sit around babysitting the installer. Remember, if you bought a new Mac recently, Mountain Lion is free for you. Anything we’re missing? Let us know in the comments. What about a fresh new install ? What are the main cons and pro’s of update versus clean? How about the advise if I also did not perform a clean install of Lion? Would it now be a good time to do a clean install? How about removing my prefrences before hand? Say update and then create a new user would that improve speed and clean old leftover files and settings? Then restore all data from Time Machine. Looking forward to my free upgrade. Download-time won’t be so pretty on my connection though. You should also Google the crap out of the internet. Read other users’ experiences and see what troubles people are having. Familiarising yourself with the general feedback will help make the decision to upgrade or to wait. As someone who recently installed ML, let me tell you, it’s a nightmare. Like Lion but none of the tricks, hacks, add-ons, and workarounds seems to have any effect. Back to square one. How many Macs does the App Store purchase let you install on? Just as an FYI to all, Parralells doesn’t work with the GM version of Mountain Lion so it Probably won’t work with the official release. Actually, it does. You need to update your parallels software and it will work without an issue. You may have to download it from Parallels website. Oh it said it was up to date! I’ll look again! If I get Mountain Lion from the App Store, does it automatically install itself as my OS, or does it sit somewhere nice and quiet until I choose to install it? I like to wait a few weeks, let the early adopters find the bugs! I’m a new convert to a (used) MBP and I just bought Lion two weeks ago. Do you know if they have a policy whereas I can get Mountain Lion now, leveraging my recent payment? Can I set up a dual boot – L and ML? Partition your drive and install Mountain Lion on the new partition. Make sure you have enough space to cater for both. It says there at the Mac App Store that the Power Nap feature is only compatible with Mid 2011 MacBook Air or latest & the MacBook Pro with Retina display. I’ve never done a backup of my computer before updating an operating system, including when I upgraded to Lion from Snow Leopard. I’m afraid to do it again because something might happen. What exactly do I need to backup my computer (besides Time Machine which costs too much) and how do I do it? Time Machine is free, you just need an external hard drive to use it. Carbon Copy Cloner is a good alternative to Time Machine–you can tell it what folders to back up. You can get an external drive and enclosure for less than $100, or check out the newer tech Universal Drive Adapter and use a bare drive. If you exclude enough stuff, a usb key might suffice. But for backups you want three copies of your data, not just two…. So I have a question, if I upgrade my macbook pro to os x mountain lion and I have some third party files (songs and movies), will I lose it or I can use time machine to back it up? Nothing will be lost. You can back the files up before you upgrade clean (which is preferable) or you can choose the option to install Mountain Lion by overwriting existing files, which would keep all your old files in place. Make sure to back up your apache conf and mysql database. The upgrade will wipe it all. Hello, I wanted to ask. I don’t have an external hard drive and I want to update to OS X Mountain Lion right now. Is it okay if I don’t back up? I mean, will any files be lost? If not it’s good if yes well i need to buy a drive. Thank you. Usually there are no problems, but things can go wrong so it’s always good to have a backup. Personally I would never recommend upgrading anything without backing up your crucial files at least. If you have Antivirus installed…remove it first. Hi guys, sorry im new in mac OS, i have a simple question… I have Mac OS 10.7.4 and i want to upgrade to the newest 10.8, i have Photoshop and other apps intalled, so my question is, do I loose the apps I have already installed? do I need to re-install them after the upgrade? or once I upgrade Mac just keed the apps? i have snow leopard and bootcamp windows 7.if i upgrade to mountain lion i will lose the bootcamp? ?and if i lose what i have to do to keep the bootcamp after..
Can anyone recommend a good online backup system instead of an external hard-drive? Pros/Cons to that approach? I was thinking of Carbonite or something similar. My MacBook of 2007 is running Snow Leopard, and cannot be updated to Mountain Lion, but I think it could be to Lion. Is there any way of updating to Lion instead of Mountain Lion? please tell me , i have a MBP with Lion and i have vindows with parallel program , if i upgrade to the Montain lion i loos the parallel program impicit the windows? I loose the projects i have in the final cut? I need make backup? or once I upgrade Mac just keep the projects?